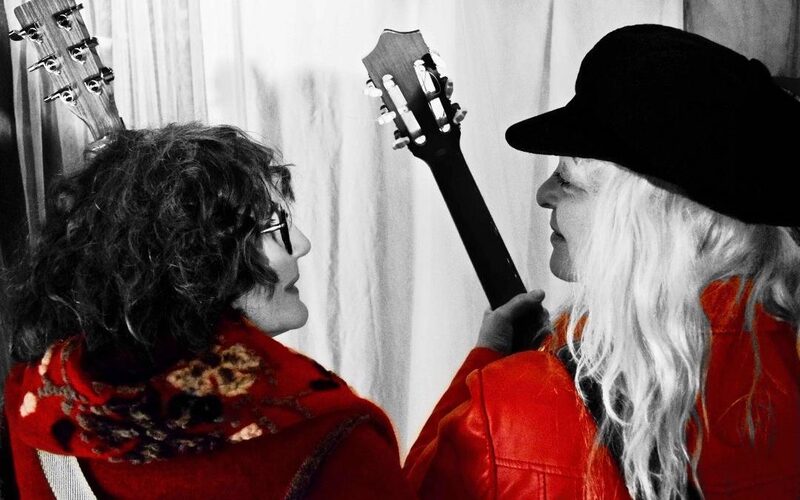 In this new show ‘Sandy, Joni & Me’ SALLY BARKER and ANNA RYDER are delighted to bring some of the songs of both Joni Mitchell and Sandy Denny to the stage, exploring the singer/songwriter legacy that was forged in the early ’70s. Veteran folk-blues singer/songwriter Sally Barker (lead vocal, guitars & percussion) became Tom Jones’ finalist on The Voice UK 2014 after reducing her mentor to tears with her performances. Sally has toured with Sir Tom, Bob Dylan and Robert Plant and DJ Chris Evans said, “Sally changes the atmosphere in a room when she sings”. Sally is joined by singer/songwriter and multi-instrumentalist Anna Ryder (vocal, keys, guitars & banjo) who has worked with Fairport Convention, Eddi Reader and Julianne Regan (All About Eve). Although it is based in folk, Anna’s musical style crosses genres.